On March 16, 2017 the Turkish police carried out operations against HDP executives and members in several provinces, including Antalya, Adana, Antep, İstanbul, İzmir, Hatay, Mardin, Maraş, Muş, Tekirdağ, Adıyaman, Aydın, and Muğla. The majority of the people under detention are members of provincial organizing committees for Newroz celebrations. Almost two hundred people were taken into police custody, including HDP provincial co-chairs, provincial executives and members, the chair of Mardin Assyrian Union Association and a significant number of human rights activists. During this week, human rights advocates were particularly targeted. Ten of the executives of Human Rights Association (İHD), also including Mr. Raci Bilici, the chair of its Diyarbakır Branch, have been under detention. Besides, the pressures on our deputies are still going on. Mr. Berdan Öztürk, HDP MP for Ağrı, and Mr. Mehmet Emin Adıyaman, HDP MP for Iğdır, were stopped in Ardahan while carrying out HDP’s referendum campaign activities. Mr. Öztürk and Adıyaman were sent to Ardahan courthouse to give testimony. After testifying, both were released. Mr. Adıyaman had been previously detained on January 25, 2017 and then released with a ban on travel. Just as celebrating Newroz is a tradition for Kurdish people, pressures on the Kurds before Newroz celebrations have also become a state tradition. 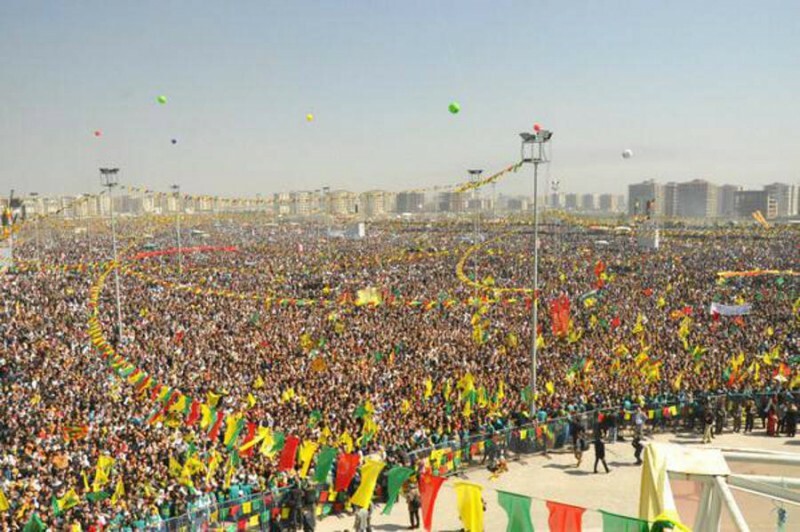 This time, the pressures have two objectives: trying to prevent people from participating in celebrations by criminalizing Newroz and weakening the HDP in the run-up to the referendum process. We will respond to these pressures by celebrating Newroz in peace by the participation of millions across the country and do our best to stop President Erdoğan’s ambitious “presidential system” on April 16, 2017.